As of April 2018, we are indeed still selling plans. For $45.00, you'll get three awesome PDF files with engineering drawings, photographs, schematics, and everything you should need to make your project successful. We no longer mail a DVD video but we share with you a private YouTube video link. This video is a bit low resolution by today's standards but it's all we've got for now. It shows you the basics of fully modifying a Futaba 7C radio as well as works through the basics of flying with the Heli-Chair. We are working on our Facebook page and in particular rolling out a Heli-Chair discussion group for our customers. It will be invite only to keep the noise level down and to facilitate open sharing. If you are interested in purchasing plans, contact us on FB or send an email to "tech", at our domain heli-chair.com and include an email address for us to invoice you via PayPal. In some circumstances, we'll make accomodations if you wanted to email a check. Building a Heli-Chair would be a GREAT project for anyone with a desire to learn. If you are a student or a teacher looking for a new project to keep the students engaged in learning, let us know and we can help you out! 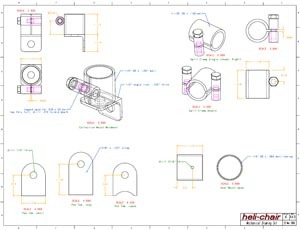 The Heli-Chair will require skills in: sheet metal fabrication, welding (steel and aluminum), basic machining and lathe work, coping of tubing, electrical systems design, connectorization, soldering, crimping and bundling of wires. You'll enjoy numerous educational advantages, having learned about many different technologies all on one project. To top it all off, your Heli-Chair will be useful as an instructional tool for countless other people. It may even be a research bed for a whole new project, such as a remotely piloted vehicle. 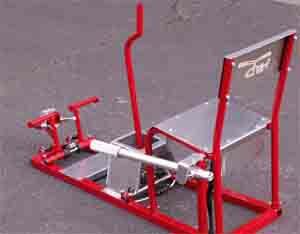 The average builder will likely spend less than a month of part-time labor building the Heli-Chair. There are many variables which make it nearly impossible to quote an exact build time or cost. You will need to be able to do some welding and basic machine work as well as some electrical wiring. You do NOT need knowledge of microelectronics. 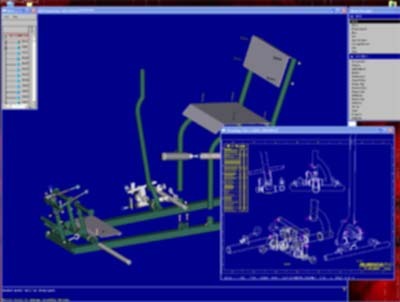 Typical costs are about $750 for the helicopter, radio transmitter and field gear, and about $750 more for the materials and components to build the Heli-Chair itself. The electric helicopters available on the market today are satisfactory for the Heli-Chair setup, however it will be important that you find one with collective pitch and NOT fixed pitch. A fixed pitch electric helicopter will limit your learning as there will be no throttle control and you will not learn to govern rotor speed.